Thanksgiving Day. Families and friends gather together to celebrate one another. And the blessings they’ve enjoyed over the past year. A time of food, fellowship and fun. And a day to be thankful. For the food on the table. And the food that nourishes our bodies all year long. 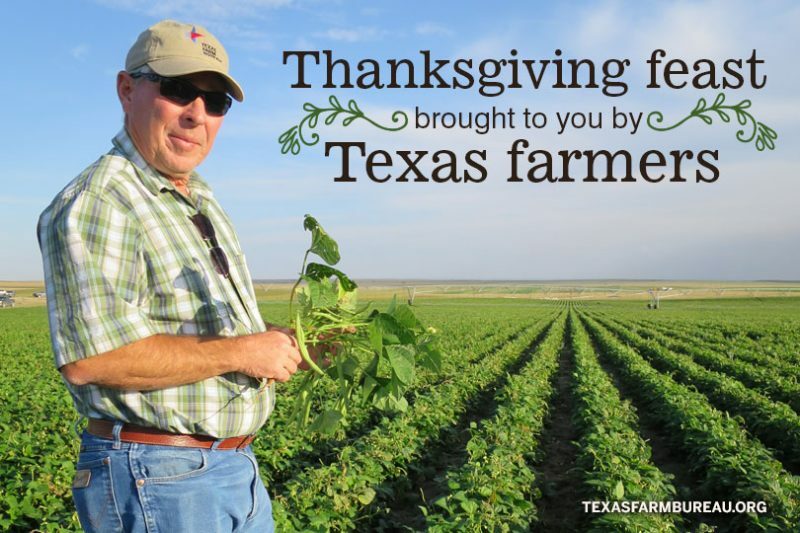 Did you know essentials of the Thanksgiving meal—turkey, potatoes, wheat, green beans, pecans and pumpkins—are all grown by Texas farmers? You could call it local. We call it homegrown. Gobble gobble! Love turkey? You’re not alone! Thanksgiving Day, also referred to as Turkey Day, is prime time for Texas turkey production to shine. 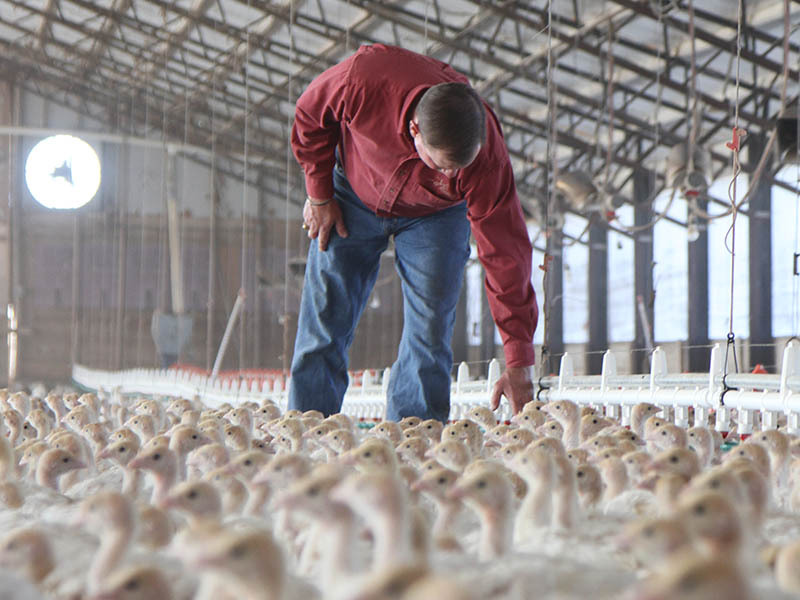 Texas farmers grow turkeys, and chickens, across the state, contributing millions of dollars to the state’s economy. 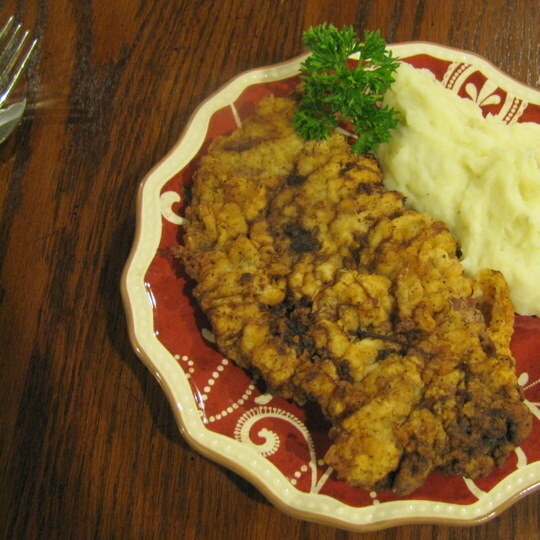 And providing a savory protein for our Thanksgiving dinner tables. Meet a Texas turkey farmer in this video. Thanks to technology, harvesting potatoes is no longer a back-breaking job. Specialized machines gather potatoes during harvest. Back in a warehouse, the potatoes are washed, separated and inspected before sent to a manufacturer for bagging. 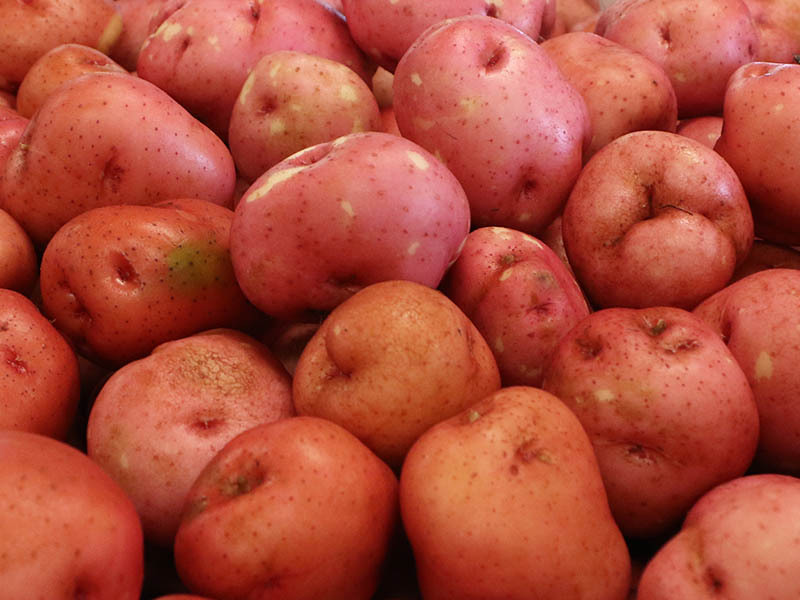 Different types of potatoes are grown in different areas of Texas—including sweet potatoes. 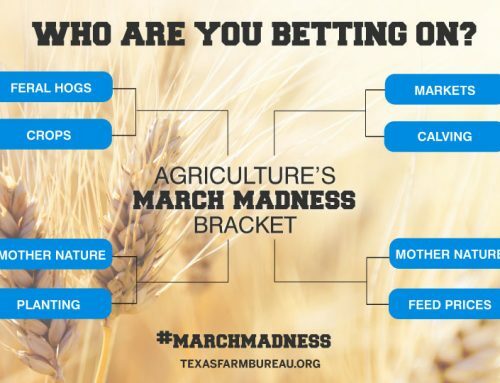 Whether you’re dining on a bag of potato chips, diving into creamy mashed potatoes or eyeing the ever-tasty marshmallow-topped sweet potato dish, you know you’re likely getting a quality, Texas-grown dish. And you can take a look at potato harvest in this video! An essential part of our Thanksgiving meal. Breads. Stuffing. Desserts. 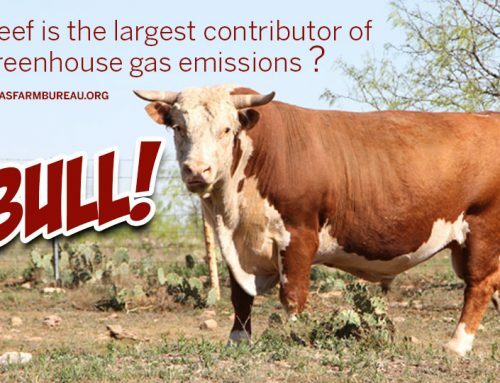 And it’s grown right here in Texas. Most of it was hard winter wheat. Used to make bread, biscuits and rolls. 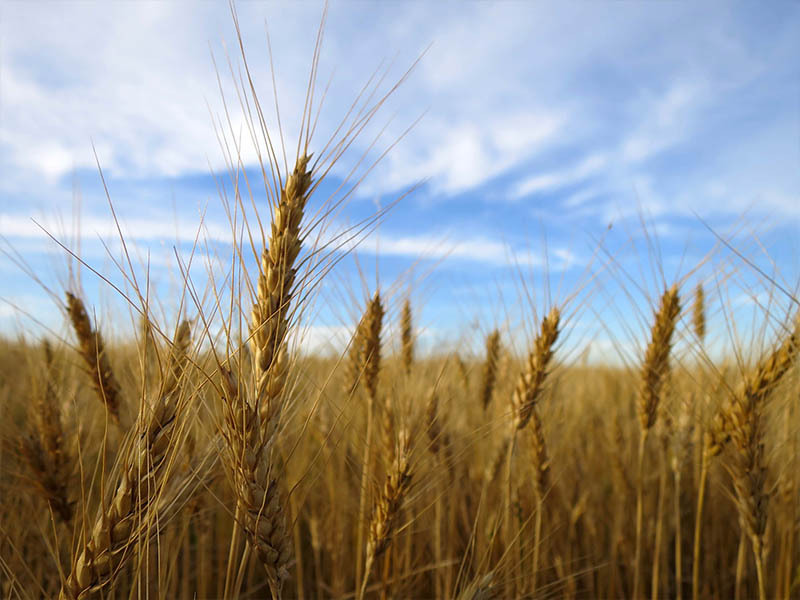 Texas farmers also grow soft red winter wheat. 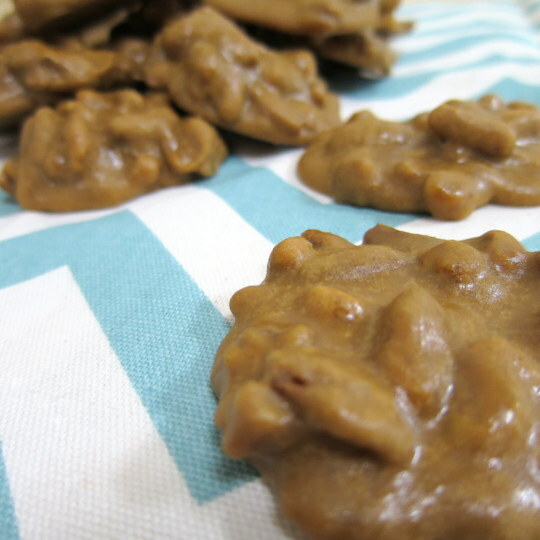 Used in cakes, donuts, crackers and other baked goods that have a tender, flaky or crispy crust. In a casserole. Wrapped in bacon. Or steamed to perfection. Green beans bring color and flavor to a Thanksgiving feast. 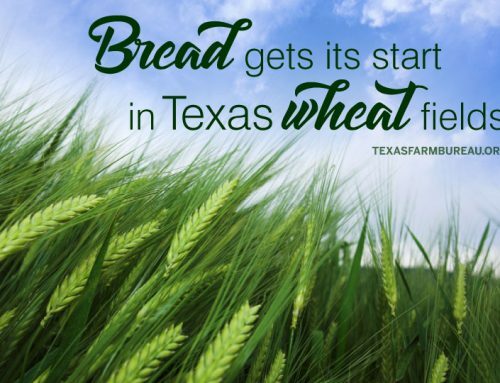 They’re not the first crop you think of when it comes to Texas agriculture. But there are farmers who grow the tasty bean. 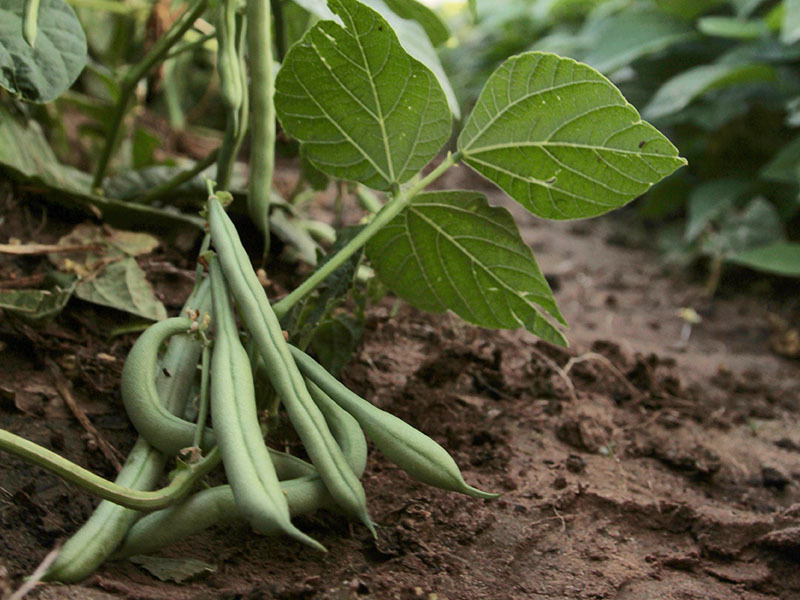 Did you know green beans are harvested at night? See how in this video. Millions of pounds of pecans are grown here each year. 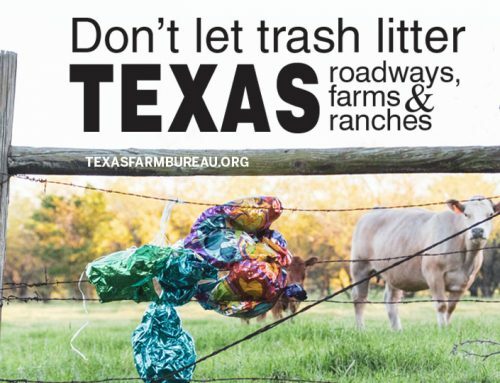 Thanks to the state tree of Texas. Growing pecans is more than picking nuts off the ground when they fall from the tree. Pecan growers maintain and care for their trees. Just like any other crop. And they used specialized machinery to shake pecans from the trees while another machine picks them up. They’re then sorted by hand and prepared for sale. 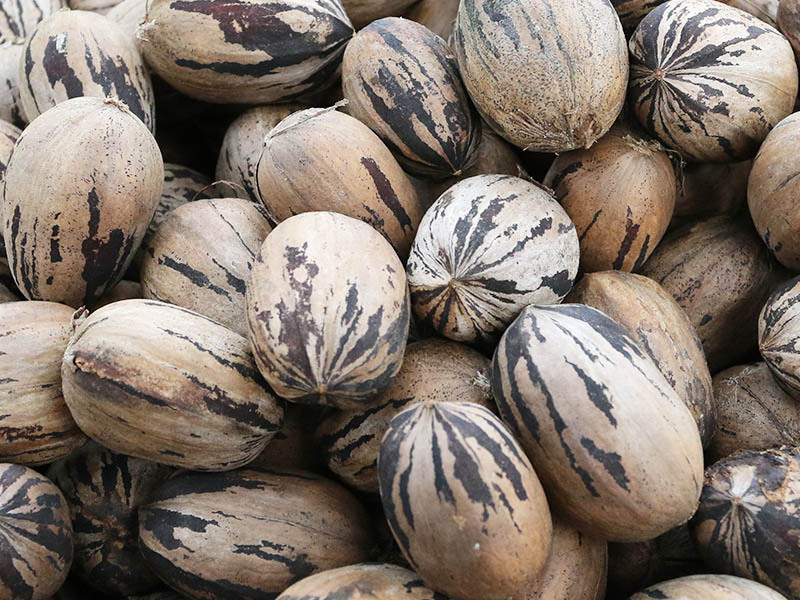 Check out this short video of pecan harvest and meet a pecan farmer! 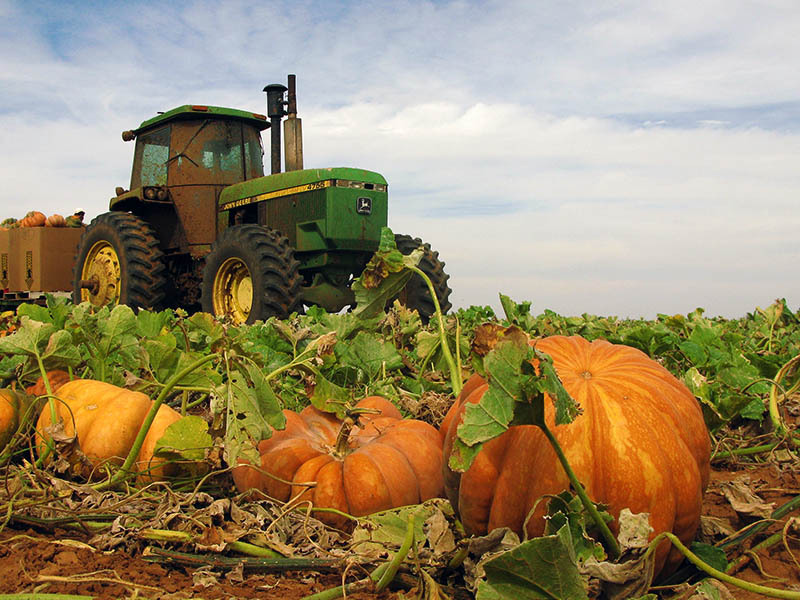 Each year in Floydada, 15-20 million pumpkins are cared for and harvested by hand. There’s not just one type of pumpkin either. There are Jack-O-Lanterns, pie pumpkins, Fairytales, mini-pumpkins, Atlantic Giants and more. There’s a little something for everyone when it comes to Texas pumpkins. 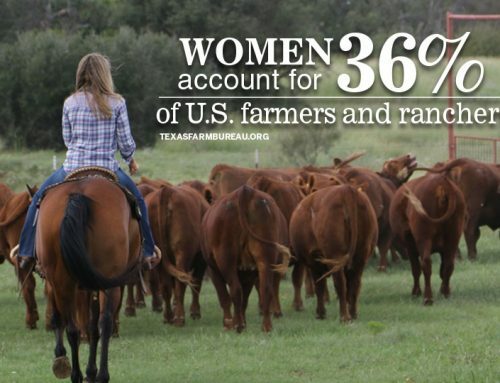 From Texas farm families to yours, we hope you have a Happy Thanksgiving!